Kimejavr - lake. Flow to the Barents Sea via Kimejavruay brook, Malaya Olyonka river and Bolshaya Olyonka river. 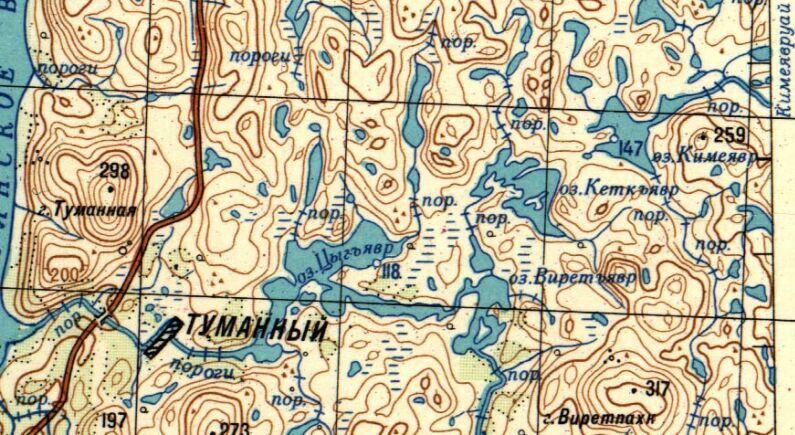 The rut from Tumanny settelment to Olyonka and Rynda rivers touches the north-west side of the lake. The beach on the lake-shore is a cosy place to rest.